In the earliest days of ‘talkies’, the great Bobby Jones made a series of instructional clips for cinema audiences. To appeal to the masses, the instruction was in the form of a very brief comic story. Jones made a number of these little films, some using slow motion. He wore black and white sweaters and trousers. The clothes had one black arm and one white arm and the trousers had a black left leg and white right leg. This allowed the viewer to appreciate the various key moves in the golf swing, such as the left arm, body rotation, hip coil and particularly his remarkable footwork. By the 1950s, Ben Hogan’s swing was captured by many amateurs with home cinefilm. There is remarkable footage of Mr Hogan, in swimming trunks and among some sand dunes, demonstrating his swing in ultra-slow motion. Amazingly, what Hogan believed he did was totally different to his actual swing! A classic case of ‘feel is not necessarily real’. From the 1960s on, camera technology made huge leaps. This meant that people could afford cameras with very fast shutter speeds. All of a sudden, golfers started to find out what was actually happening in the 1.8 seconds it takes to hit a golf ball. While it was great to understand swing mechanics, the photographic image led us to think of the golf swing as a series of rather static positions. Golf instructors across the globe started to teach position rather than movement. It is a major mistake to believe that a series of positions will lead to a flowing golf swing. There were no positions in golf until someone photographed a movement. Today, we have more technology at our disposal for teaching golf than ever before. You can wear a special suit to capture your swing in 3D. You can follow your golf ball with radar flight monitors that make a scientific guess as to what your clubhead did at impact. More accurate is the GC2 Launch Monitor that takes 32 images of the ball’s first 10 inches of flight! Combined with a Head Movement Technology (HMT) camera, the flight of the ball and the clubhead impact conditions can be recorded as fact, rather than a calculation. So, we have boatloads of new data. The question is, does more information create more understanding? I’m not sure it does. If you don’t diagnose the disease there’s a big problem; you’ll be taking Ibuprofen for the joints, paracetamol for the fever and putting Tippex on the spots! In other words, dealing with the symptoms rather than eradicating the disease. Likewise, your coach must diagnose the original fault, not just ‘fix’ a number of symptoms. 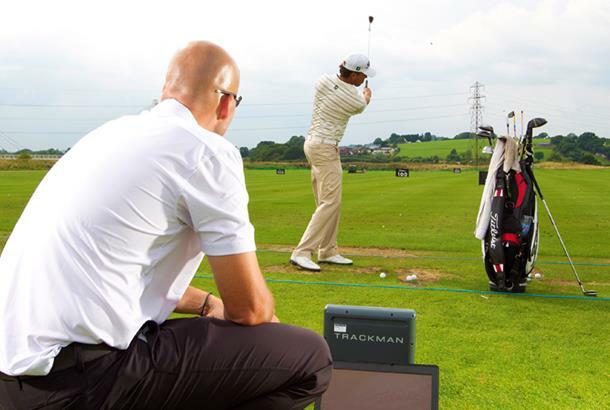 An experienced PGA professional will video your swing and often uses a launch monitor to confirm the science of your swing, club, ball and shot. His art is to fix the underlying cause at root without overloading you with information. The more information science gives us, the greater the art of teaching required to distil it to its simplest form. Where modern technology really comes into its own is in the process of custom-fitting clubs. Today, I cannot optimise the huge choice of equipment for a pupil without my GC2. Today’s equipment analyses our swings more thoroughly than ever before; like good medicine, the dosage and frequency of information must not be overdone. When choosing a PGA pro to improve your game, look for an artist on the lesson tee and a scientist in the club fitting bay!